You don't have to choose between urban life and the suburban convenience of shopping in a mall. These three indoor shopping centers are conveniently located in Center City. 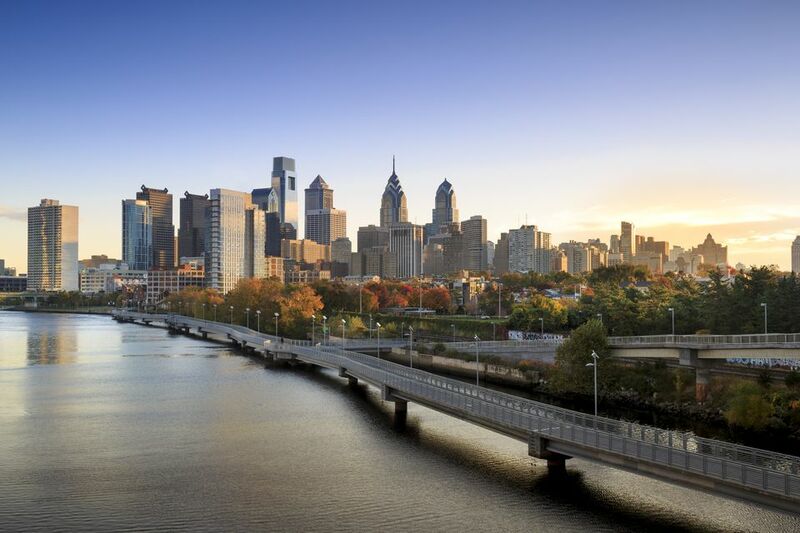 They range from small and upscale to sprawling and down-to-earth, and of course, if you don't find what you're looking for here, you can always leave the city for one of the many nearby suburban malls, including King of Prussia Mall, the largest mall on the entire East Coast. The Gallery at Market East stretches out over three blocks above the Market East train station. It holds nearly 200 stores on four levels, as well as a food court, gym, and a fish market. This is the largest of the indoor malls in Center City and is home to the most affordable stores of the three, including Foot Locker, Old Navy, K-Mart and a Burlington Coat Factory. There are also vendors selling spray-painted T-shirts, watches, jewelry, cell phone paraphernalia, and food. While often crowded and loud, the Gallery is a convenient place to shop, especially with the regional rail line underneath the mall. The gold-and-marble atrium of this small shopping center in the heart of the Avenue of the Arts drips with elegance. The mall is part of the Bellevue, one of the city's finest hotels. If your wallet is fat, stop at Nicole Miller for a cocktail dress and Tiffany & Co.
for jewels to go with it. Or visit Polo Ralph Lauren and Williams-Sonoma. There is a lower level food court and a Starbucks on the main level. In between the elegance of the Shops at the Bellevue and the nitty-gritty Gallery, the Shops at Liberty Place offer yet another indoor urban mall experience. This is also between the two in terms of size. The central atrium is covered by a domed-glass ceiling, offering a bright and open shopping space and shops surround the center and extend along several hallways on two floors. Part of one of the city's biggest skyscrapers with endless floors of offices above, the food court a popular stop for the downtown business set at lunchtime. You'll find chain clothing stores including Express, J. Crew, and Victoria's Secret, health and beauty brands Aveda, Bath & Body Works, and The Body Shop, shoe stores Easy Spirit, Aldo, and Florsheim Shoes, along with many others.